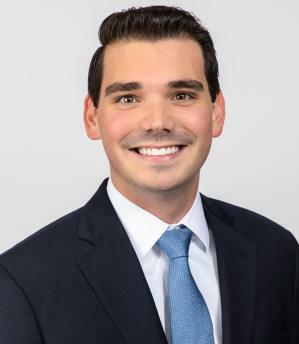 Taylor King Law welcomed Michael to our team in 2018. Michael’s career in law began with a desire to help people on a daily basis. The stress of a lawsuit can make it one of the most difficult times in someone’s life; Michael helps carry the burden for his clients and walks them through each step of the process. His perseverance and compassion make him a wonderful advocate for personal injury victims in Arkansas. Michael likes to spend his free time exploring the Natural State. Whether hiking and playing tennis with friends or enjoying time at the lake with family, he’ll take any opportunity to be outdoors. Michael attended Ouachita Baptist University, graduating with a Bachelor of Arts degree in Finance and Management in 2014. He was accepted to the Baylor School of Law where he was awarded a Juris Doctorate in 2017. A member of the Arkansas Trial Lawyers Association, Michael is licensed to practice law in both Arkansas and Texas.